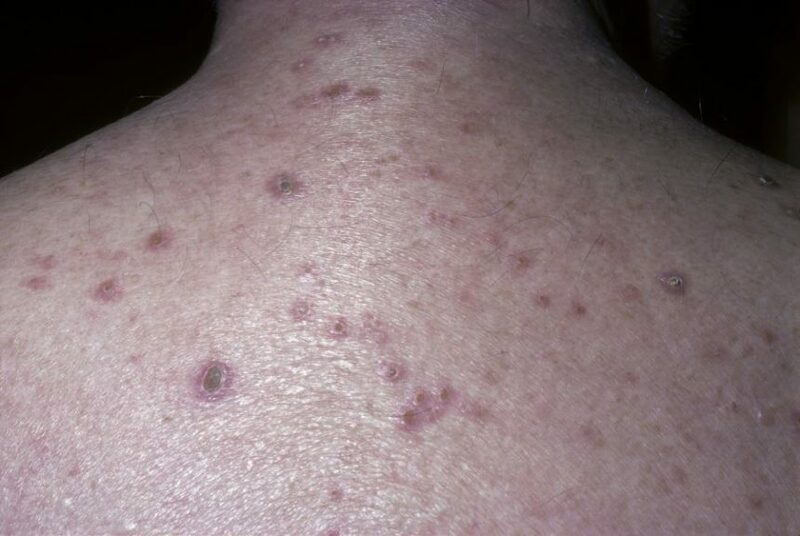 A new review provides evidence-based guidance for practitioners treating the dermatologic condition prurigo nodularis and highlights gaps in treatment development and research. HealthDay News — A new review, published in the Journal of the American Academy of Dermatology, provides evidence-based guidance for practitioners treating the dermatologic condition prurigo nodularis and highlights gaps in treatment development and research. The researchers found that the five studies investigating topical agents, including corticosteroids, calcineurin inhibitors, calcipotriol, and capsaicin, all showed some benefit with a level of evidence 2b or higher. Among the eight studies investigating phototherapy and photochemotherapy, six achieved levels of evidence of 2b or greater and showed good partial response rates. Six studies evaluated thalidomide and showed evidence of good symptom response, but only two of them were rated level 2b or greater. In four combined studies, cyclosporine and methotrexate demonstrated benefit, but with level 4 evidence. Promising evidence for pregabalin, amitriptyline, paroxetine, fluvoxamine, and neurokinin-1 receptor antagonists was seen in five level 2b studies. “Higher-powered studies and additional randomized controlled trials are needed for the evaluation of safe and efficacious systemic treatment options for prurigo nodularis,” write the authors.